The rose has been the world’s favourite flower for centuries – and it is the sacred rose and its alchemy that can improve our lives exponentially. An understanding of the rose energy can take us on the journey of a lifetime. 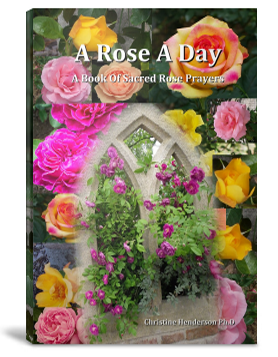 The first book in the Rose Trilogy is a book of rose prayers – A Rose a Day. The sacred poetry it contains is an intimate expression of a direct connection to rose consciousness. It is a personal healing in a poem. The rose energy restores our potency and reminds us of our true origins. By taking a daily journey with the rose you will find yourself initiated into the greater mysteries and discovering the depth in your life that you have been seeking for so long. The second book in the Rose Trilogy is Rose Alchemy – the Reiki/Seichim integration. In Atlantis the members of the arcane rose mystery schools understood that the rose is not merely a flower or a symbol. The rose is a living deity and a spiritual being in its own right. The rose energy takes us all beyond our current definitions of metaphysics, mastery and oneness. It catapults the energy systems of Reiki and Seichim into a new form. Whatever the colour, whatever the meaning the rose in its many forms speaks a universal language. It moves us beyond individuality. And roses – roses are nature’s most perfect potent and diverse expression of beauty and passion. They symbolise exquisite love, power and royalty and at the same time they prod us with their thorns and move us to a state of receptivity. The merger of Reiki and Seichim into Rose Alchemy brings us into a gentle state of being our true selves. What would it take for us to restore, in ourselves and in our community, the sense of the sacred that is often lost in the fragmentation of modern life? What would it take for us to express our inner creativity to the world? Embodying the energy of the sacred rose assists us to reach our full potency. In this, the third book in the Rose Trilogy, the ability to access higher levels of sacred rose consciousness is facilitated through ceremonies, initiations and attunements. These ceremonies enhance our journey of personal destiny. It pre-supposes an understanding of the existence of a dynamic and enveloping world of energetic vibration coexisting with our material world. This energy is deep, all-pervasive and central to the depth of our understanding of ourselves as we take the most adventurous journey of all – the journey within. Over a twenty year period I have received in-depth information about the Sisterhood of the Rose, an ancient mystery school formed from a mythical group of women who, according to the legends, came from Sirius, the Blue Star, and first worked together in Atlantis. The Brotherhood of the Rose was their male equivalent. For many years I dedicated myself to writing the story of the rose energy and it took me on the adventure of a lifetime. I thought that this work was finished. It was not. New information was gradually revealed to me the majority of which I had not previously known or understood. 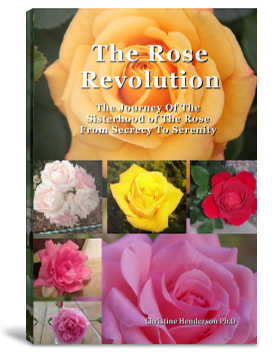 All of this rose knowledge has been brought together in the definitive work ‘The Rose Revolution’. It is the fourth book in the Rose Series and it is ready to be released to you now. The rose is a symbol of energetic expansion; including it in our lives can lead to uplifting experiences that boost our energetic vibration and move us closer and closer to a new more joy-filled life. It all began in Atlantis. The insistent deeply buried Atlantean energy kept appearing in my daily life and the lives of many of my colleagues and friends – a sure indicator that profound change was necessary. This energy persisted in infiltrating my life for over twelve months and presented itself in the form of dreams, meditative visions and insights as well as feedback from clients and friends. Finally it became so strong that I had to acknowledge it – and even more than that – I had to deal with it. I had to write it all down. The rose is a hidden treasure – she is eternal mystery – she is big magic – she is part of many esoteric traditions – and in each one in different ways ‘finding the rose’ means you find the texture of your essential self- the one you have been hiding away from the world for all of this time. This rose book provides a unique Rose Road for you to follow into Rose Consciousness. This e-book is available for immediate download. This is my testimonial to what a wonderful experience I have had and still having with the Rose Covenant Course. Cris Henderson is an amazing Woman and her knowledge and love come through the course. I had been looking for a Reiki course for many years. My own mother was a Master/Teacher of Reiki, it was just not appealing, and then I found the Sisterhood of the Rose with Crissie. My heart jumped; this is the course I want. I called Crissie and my journey on the Rose Road started. This course brings only the best out of you and you, with the help of Crissie do the work. We are the ones that help are selves. The Journeys are simply amazing. The energy of the Rose is so strong and so gentle, it just floats. I have always been attracted to Roses of every kind. I have always been a believer of the Goddess’ power and this course combines both for an exceptional experience! My life has changed for the better; Fears I have had since a child are gone, I have joy in my heart 99% of the time. I’m still human. No really I am happier than I have ever been in my whole life! I absolutely love the Rose energy. I feel more complete. Crissie is the best teacher; she is always there if you need her! I am now taking her Tapestry of Heaven Course and again it is amazing. The essences are just wonderful to make. Your inner imagination is fully opened and again the energy just flows so gently. I was always searching for more and my search is done I found what I have always looked for; The Sisterhood of the Rose and the Rose Energy! Thank you Cris Henderson for being you and such an amazing human being, the Divine Goddess shines from within you! I would recommend these classes to anyone who wants to know themselves better and wants to experience the Rose energy for themselves! What a Beautiful Blessing it has been to delve into Crissie’s Beautiful Books, I am now consuming “The Rose Revolution” Amazing. Each time I open one of my “Rose Books” I am so overwhelmed with excitement and ever so anxious to ‘soak’ up her words. My Rose Journey began and is Forever Growing, I see the Rose & I feel her caressing my Heart & my Soul as my Beautiful blessed journey Continues. 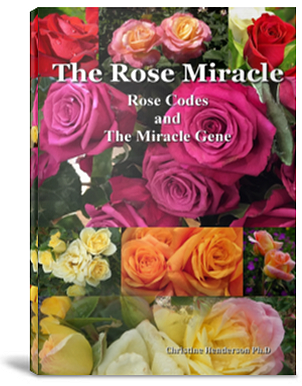 The Rose books take you on a Magnificent Sacred Journey, far more than you imagine, My Life has changed immensely, The Rose is in My Heart each and every day. The Rose Resonance is so beautiful so sacred, I fell my Rose energy I wrap myself in my ‘Rose Cloak’ . Don’t hesitate reach out now and let The Rose touch your Heart.